Business loan rates from just 7%. We have just been advised that Nucleus Commercial Finance have lowered their unsecured business loan rates. Their interest rates now start from a 7% flat rate, to borrow up to £100K with no additional security, just a personal guarantee. The loan rate is determined according to the credit status of your company, and the term of the loan that you require. The "term" is the period over which the money is to be repaid, and it is agreed at the outset of the arrangement. The term can range between 6 months and 3 years. This lender is able to provide an approval decision within just 24 hours, and they ensure that you deal with just one point of contact throughout the entire process. This means that you won't get passed between departments and people, as can sometimes happen when dealing with a large organisation or a bank. If you are interested in comparing rates with other providers, please give us a call and we will put you in contact with a company loan specialist: 03330 113622. They will help you check the marketplace to find the most competitive sources of funding. In addition to business loans, Nucleus are also able to offer invoice financing facilities to a broad range of industry sectors, including the construction sector. 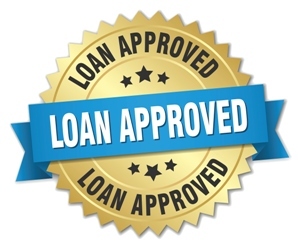 They have a reputation of being able to provide finance in situations where other lenders may not have been able to help. This can be a valuable service for SMEs that have been turned down by other providers, but still need to raise some funding. Invoice financing is a service whereby you receive a prepayment against the face value of each of your unpaid sales invoices, raised to business customers, on credit terms. This creates an injection of capital into your company, which can be used for any purpose including working capital, paying creditors, paying HMRC taxes and arrears, purchasing stock or raw materials, funding large orders and paying staff wages and salaries. If you have a sales ledger of unpaid customer invoices outstanding, you may be able to release a significant amount of capital when you start invoice financing. Since writing this, Nucleus Commercial Finance have lowered their lowest interest rate to 5% for some unsecured business loans.